Anew Apple hardware is expected to emerge soon. Recent online talks are buzzing on Apple's current plan to deliver a new piece of high-powered hardware product called the Apple TV, which first tweaked in 2013. The new Apple TV is reportedly a redesigned set-top box, which is likewise believed to have already showed up in the iOS7 software builds. Among the key features that are expected to be comprised into the recently rumored revamped Apple TV device would include game support, Bluetooth controllers’ support, and an Apple TV-based App Store. Meanwhile, pertinent reports claim that the company will be performing some tests on a set-top box that combines the Apple TV with wireless router capability. Apple is also said to conduct some sort of experimentation on a version of the device with a TV-tuner component that will let users get contents from their existing cable boxes and then overlay channels with an Apple interface. According to 9to5Mac, the rumored new Apple TV is listed under AppleTV3.2. In 2012, Apple released its 1080p device -- the Apple TV3.1. 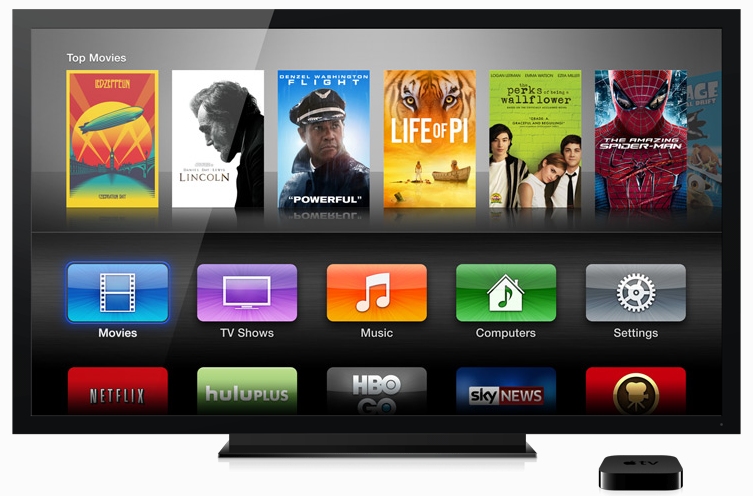 The first iOS-based Apple TV was first introduced in the year 2010 and that was the AppleTV2.1. Apple's set-top box has been dubbed as a "hobby project" for the iOS firm, designed to offer consumers with access to TV shows, music, sports, movies and more. While the device did not end up becoming a top seller, Apple has never stopped supporting the Apple TV, as manifested by its regular introductions of newer versions. In line with its goal to give the Apple TV greater prominence, Apple is recently making some revisions on its online storefront. And in order to improve its content offers, Apple has done its very best to augment the channel lineups including Bloomberg, KORKTV, The Beatles Channel, Crackle, Redbull TV and ABC, to name a few. Hopes then began to sprout that the development and anticipated release of the new Apple TV hardware will be trailed by an Apple television set in the near future. This could likely be true considering the fact that Apple is still ostensibly working hard to revolutionize the television industry.